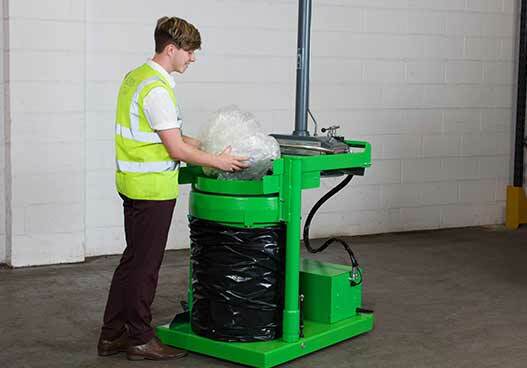 phs Wastekit balers and compactors provide a high quality waste handling solution, enabling businesses and organisations across the UK to save money on their waste disposal. Developed and manufactured in Germany & Sweden, these products are designed to last, and are reliable. Our full range offers a great choice of balers and compactors to suit any environment, and any budget. Whether you produce just a few bins full of recyclable waste a week, or enough to fill container after container, we have a solution to help you make money from your recyclables. 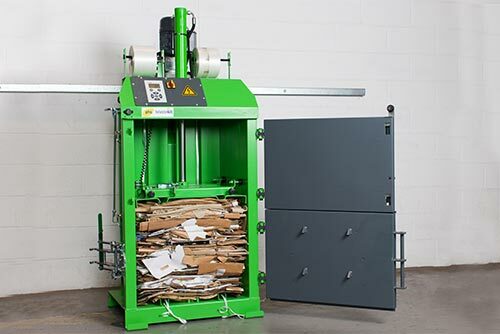 Our range of balers includes those with a small footprint, ideal for businesses with little outdoor space, right up to mill size balers for bulk waste production. We have two different types of compactor available, depending on your need. Small "bag compactors" are ideal for low volume waste producers. They compact your waste within a sturdy bag. For larger volumes we can provide a "bin compactor" which enables minimal manual handling as the waste is compacted within a wheeled bin. Contact us on 0800 169 3534 or complete the form to the right of this page to find out more or to get a quote.